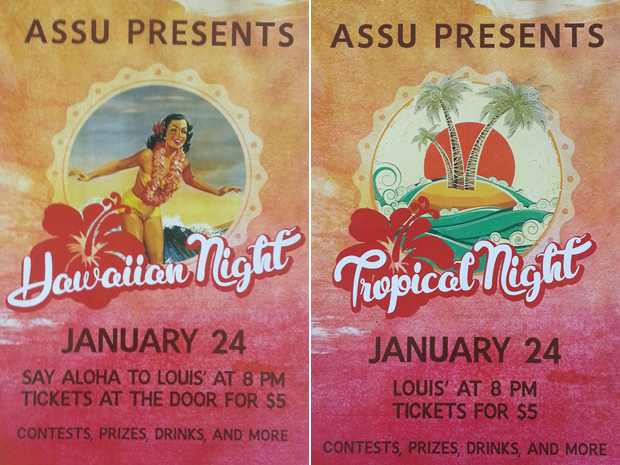 In January, a student union at my university decided to throw a “Hawaiian night” theme party. When a few students, including myself, raised the concern that it was culturally appropriative (not to mention stereotypical and inaccurate), the backlash was fierce. In response, I (with input from friends) wrote this piece for The Sheaf, the University of Saskatchewan student newspaper. What appears here is the updated version of the article for a critical set. “Oversensitive”; “political correctness gone mad”; “it wasn’t racist until you made it racist”, “just let us have our fun”; these are some of the comments we received when we suggested that throwing a “Hawaiian Night” party might be a problem. To paraphrase the wonderfully blunt Lesley Kinzel in her article “Casual Racism is not my Spirit Animal,” the phrase “politically correct” has lost all meaning except for reflecting nostalgia on the part of the speaker for a time when they could be as racist as they wanted without worrying about having their inappropriate behavior called out. The event was advertised via Facebook (beware the hateful comments, as always) and posters around the university. The poster depicted a white, dark-haired surfing pinup girl in a yellow bikini. The image was taken from a vintage Hawaiian airlines ad. “Aloha”, says the text placed below her. After complaints, the event was quickly changed to a more ambiguous “Tropical Night”, but the activities remained the same: hula, limbo, with encouragement to wear floral shirts, grass skirts and leis. A justification used by the students union was that the event was supposed to be a “celebration” of Hawaiian culture, an argument often used to support the use of Native American sports team logos (ex. Redsk*ns). As I mentioned earlier, the event included a limbo contest (which is Trinidadian and not Hawaiian in origin), demonstrating quite clearly the lack of concern with which this event to “honor Hawaiians” was thrown together. Planners of such events seldom consider the actual living people of said cultures in their planning process and only claim this intention after the fact —when they have been called out. Cultural appropriation is the use of often oversimplified, packaged versions of the culture of oppressed groups. It’s not just about “using” something from another culture, though, it’s about power dynamics – the ability to determine the identity (and thus perpetuate the dehumanization and essentialization) of oppressed, marginalized, racialized groups. Any time we use someone else’s culture as a theme, we are treading on very thin ice, and we are reducing an entire group of people and all of their history to a single essential image. In short, we are allowing a large number of non-Hawaiians to decide what Hawaiian “is” – what it looks like, how it performs, etc…. Now, I understand that most Americans don’t think of Hawaiians as a “real” group of people – this has happened deliberately and structurally through centuries of colonial mentality. This why it is even more important that you NOT further the idea that “Hawaiian” is a theme, a décor, a commodity available to anyone. To do so would be damaging on so many levels. So, we met with the students union, alongside members of the Department of Native Studies and a Skyped-in Hawaiian scholar, who discussed the real world implications of colonization and tourist culture in Hawai’i. White privilege is believing that “one single day” of stress from being called out on your racism is worse than a life of being subjected to racism. Let’s be clear: at no point did those protesting the event theme attack the individuals who created it. Sure, people often act in racist ways without ***consciously*** understanding the effects or causes of their actions. I say “consciously” because we learn from a young age to unconsciously perpetuate white supremacy and patriarchy. We are bombarded with stereotypical, superficial images of Hawai’i and other cultures, and we do not learn to question it. However, if even after you are educated on the issue, the choice is made to continue with hurtful actions or avoid responsibility for past hurtful actions, it is not my job (or the job of anyone marginalized by your actions) to try and teach you or feel sorry for your lack of understanding. Folks who continuously participate in the oppression of others are not free from responsibility because they aren’t explicitly guided through their every day lives on how to treat us with basic respect. So often, apologies from organizations regarding discrimination include some variation of the phrase “but our intentions were good”. While it’s fine to say this, ignorance does not absolve you of responsibility, and it makes any apology seem much less sincere. Nor is “I’m sorry you were insulted” an acceptable apology. Particularly as elected student representatives that serve diverse constituents, it is your duty to ensure that no voices marginalized or silenced, and to deal with complaints in a respectful and professional manner. Over the past weeks, students and even faculty have received hateful, personal attacks as a result of speaking out against the “Hawaiian Night” theme. The simple and obvious explanation is that when Indigenous people and People of Color speak out against problems in our society that affect us directly, we are attacked. We are attacked by those who would prefer that we stay silent and not challenge their entitlement and privilege. Why should this all matter to you, or even to me as an First Nations person all the way in Canada? After all, it’s just a theme party – “a night of harmless fun” as commenters claimed. Unfortunately, the reality is that for Indigenous peoples of the world (whether in Saskatchewan or Hawai’i) our cultural traditions, ceremonies, and languages have been deemed inferior, primitive and illegal by colonial governments. Indigenous folk risked serious persecution to preserve traditions such as hula or pow wow (“persecution” here denoting violent beatings, sexual violence, and death, not just monetary fines) and mere decades later, superficial and insultingly inaccurate imitations of these traditions are used by people with no idea of the ceremonial significance for what they consider a “night of harmless fun”. As Indigenous people our lands, bodies, and our traditions are not ripe for conquest; they are not terra nullius; they do not belong to you, and we will not quietly accept violence from those whose privilege has taught them to believe a night of “fun” is more important than our survival and wellbeing.